Posted on October 23, 2018 at 3:58 pm. In recent weeks Good Shepherd Day School, our state accredited 5-star rated day care center for children ages 6 weeks to 5 years, has drawn media attention! 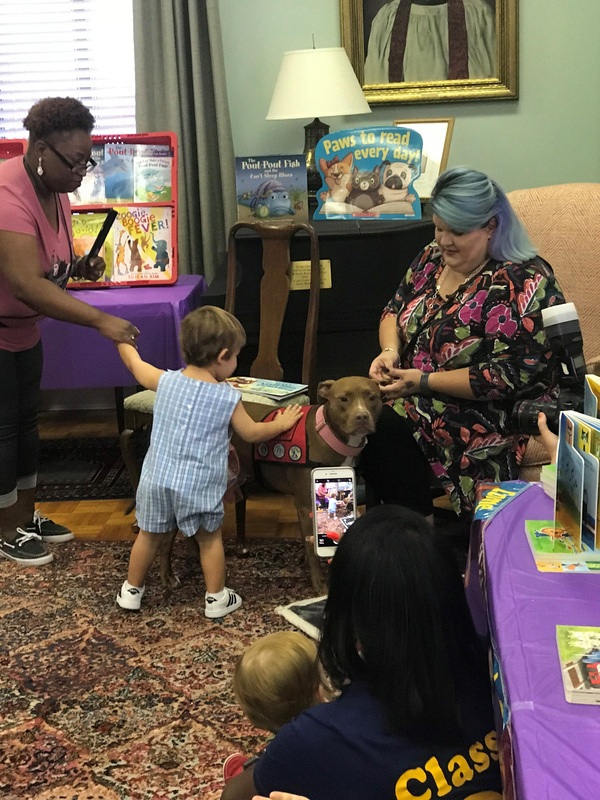 On October 5th, the Rocky Mount Telegram printed an article about the exciting kick-off event for our Book Fair with Superdog Lily. And last week, the Telegram featured our intern Theodore Hinton in a story focusing on the former deputy’s journey from criminal justice to early childhood education. Read the articles to learn more about the great things that are going on at Good Shepherd Day School!